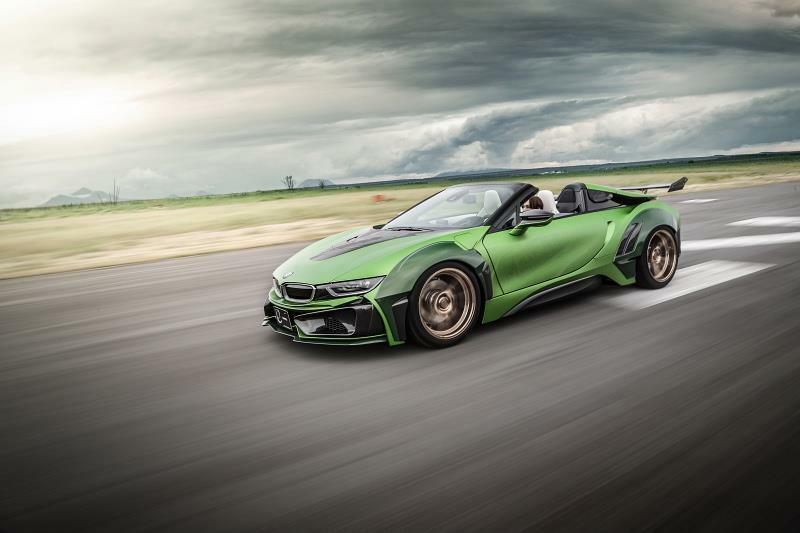 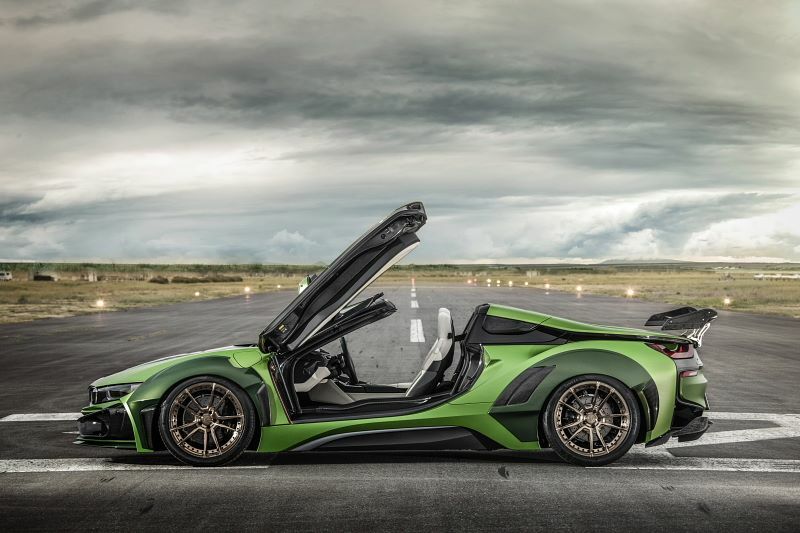 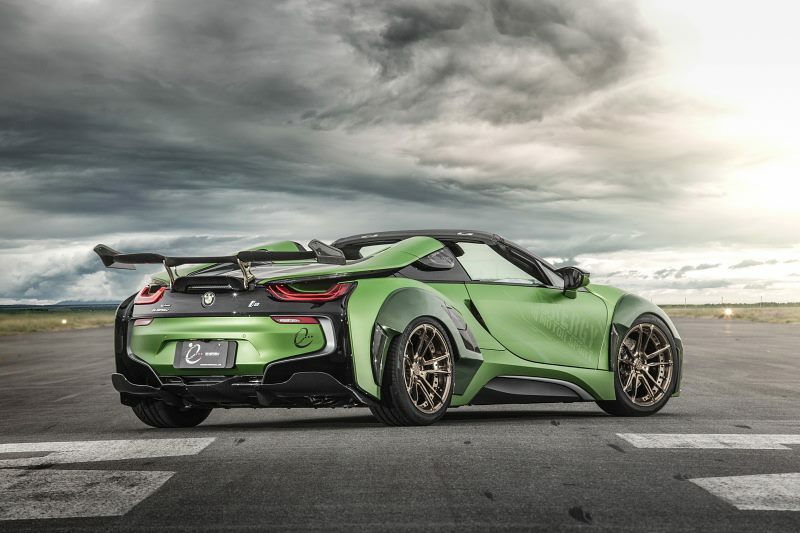 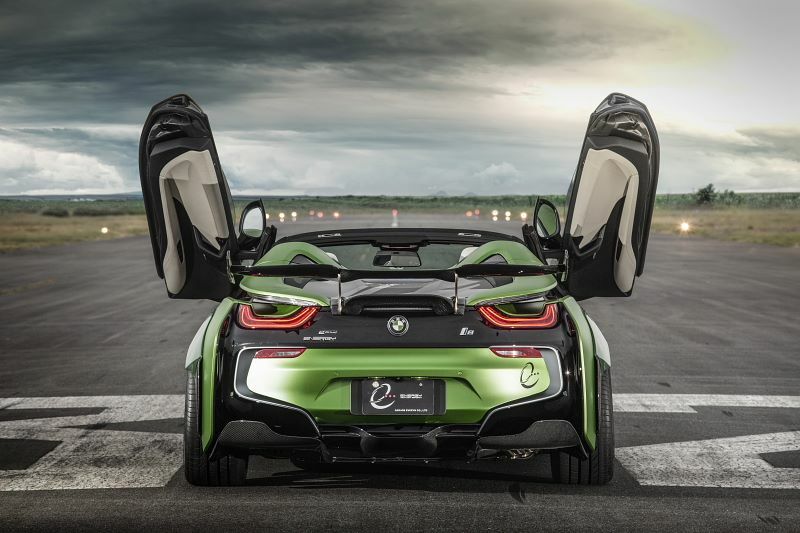 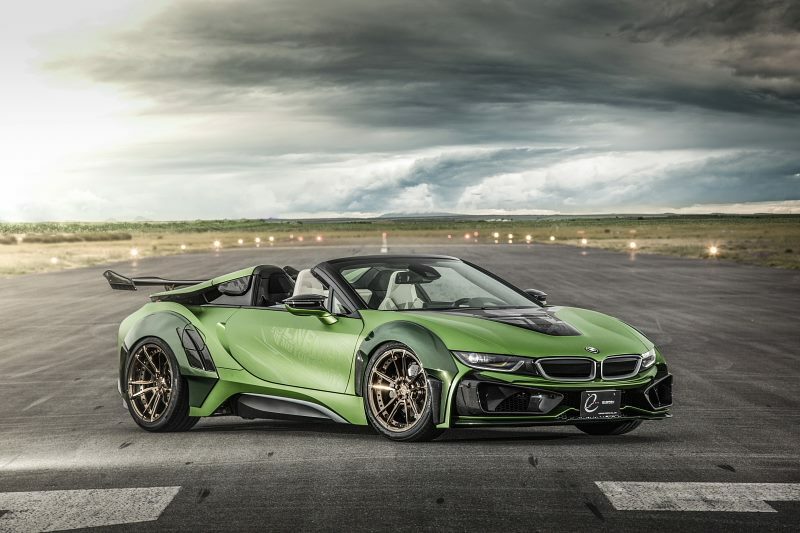 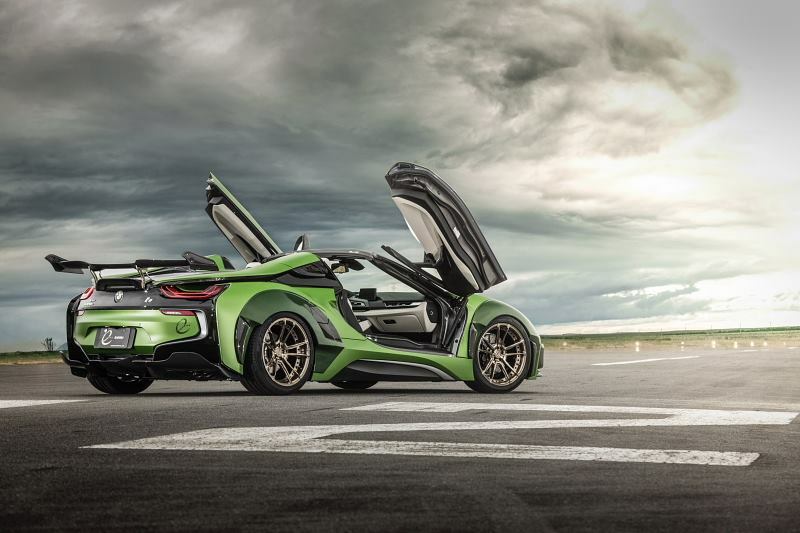 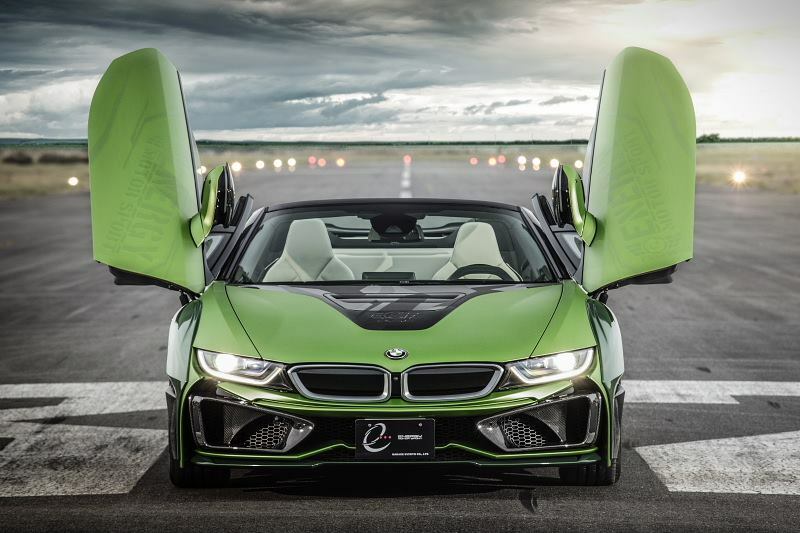 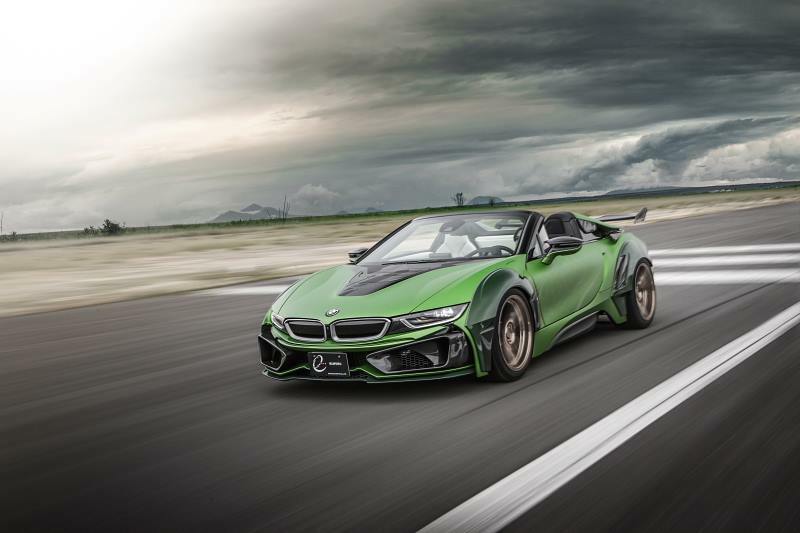 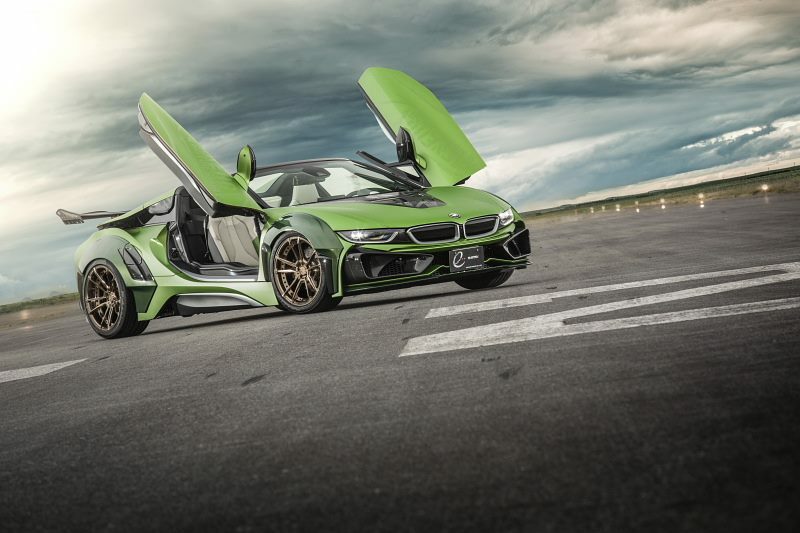 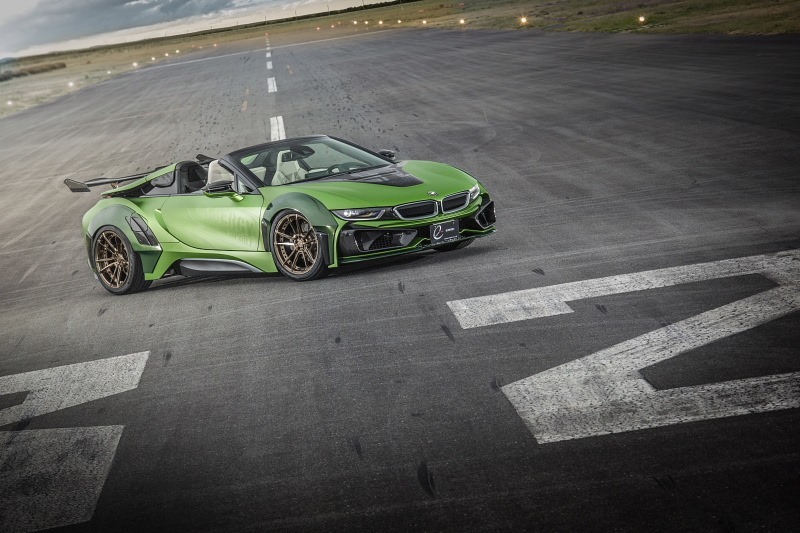 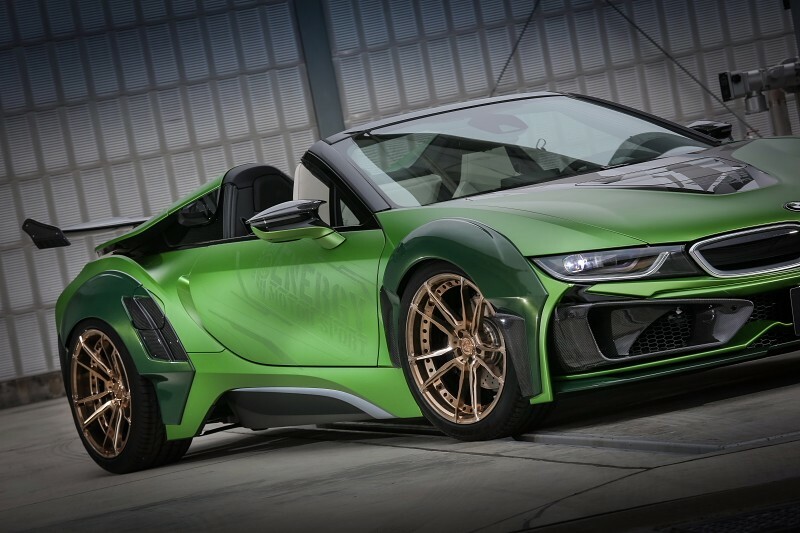 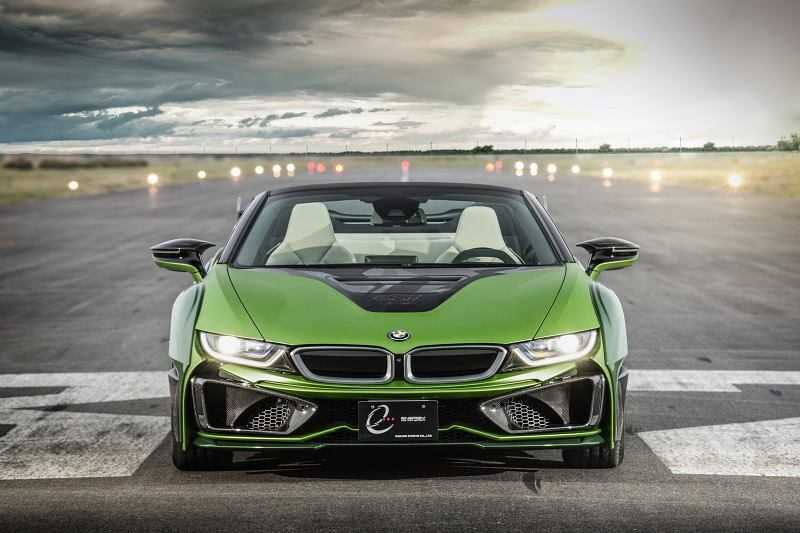 The BMW i8 has been subject to its fair share of tuning projects but this i8s Roadster “E.N.ARMY EDITION” from EVE.RYN might be the maddest of the lot. 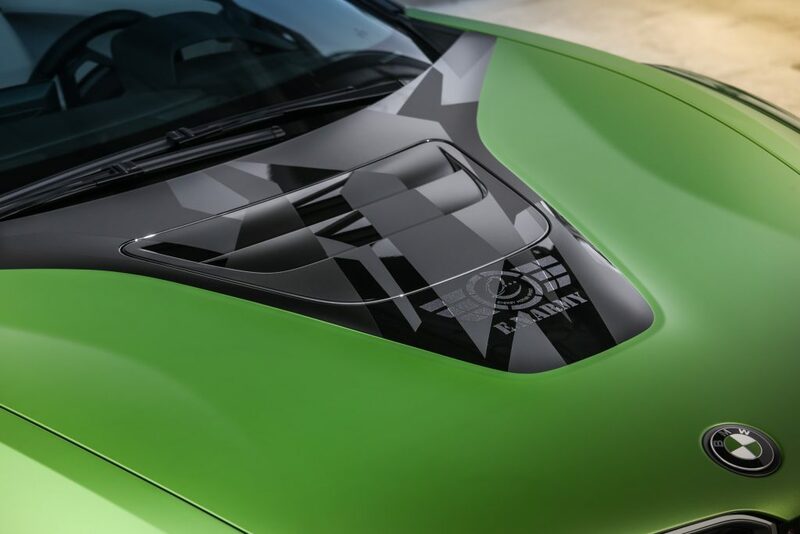 The army-themed car has four colours that fight for your attention. 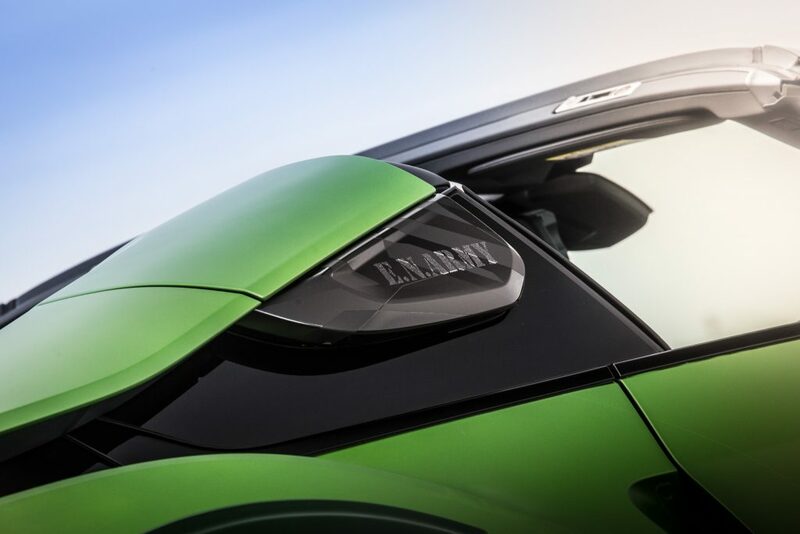 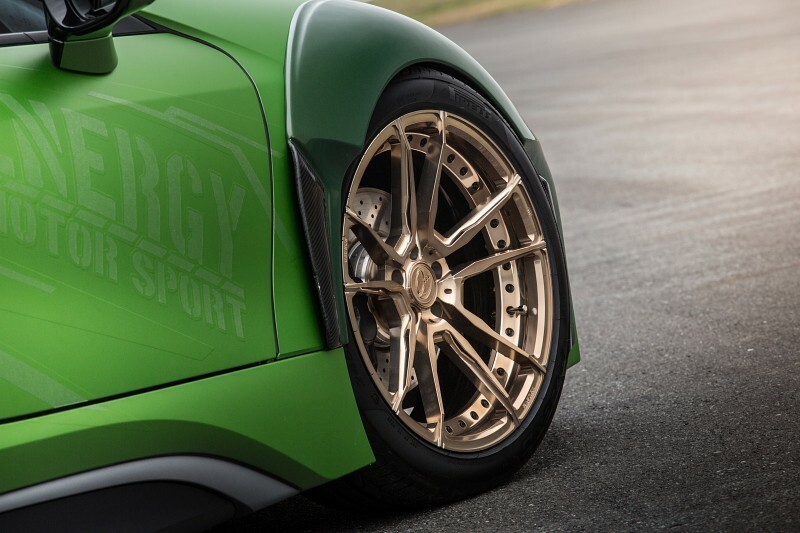 Light green is used for most of the bodywork, with a darker shade meant to draw your attention to the fender flares. 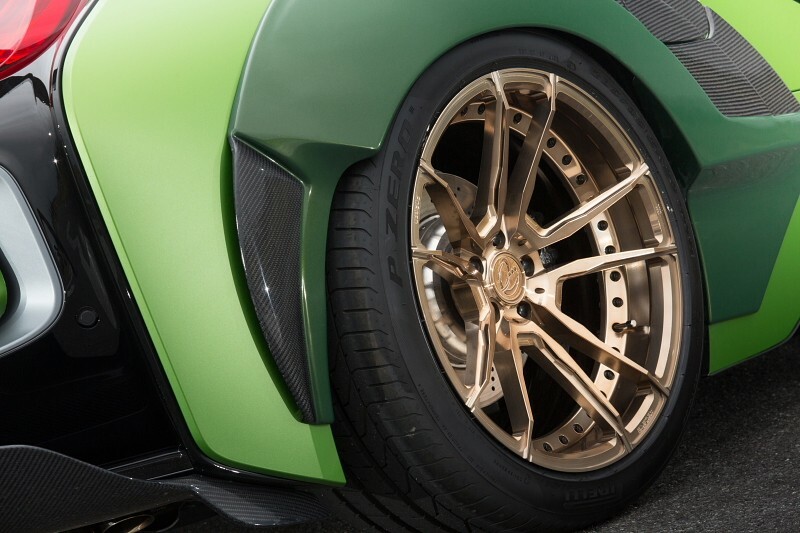 Other body components are fabricated from carbon, while the 3-piece copper wheels add a bit of supercar flair. 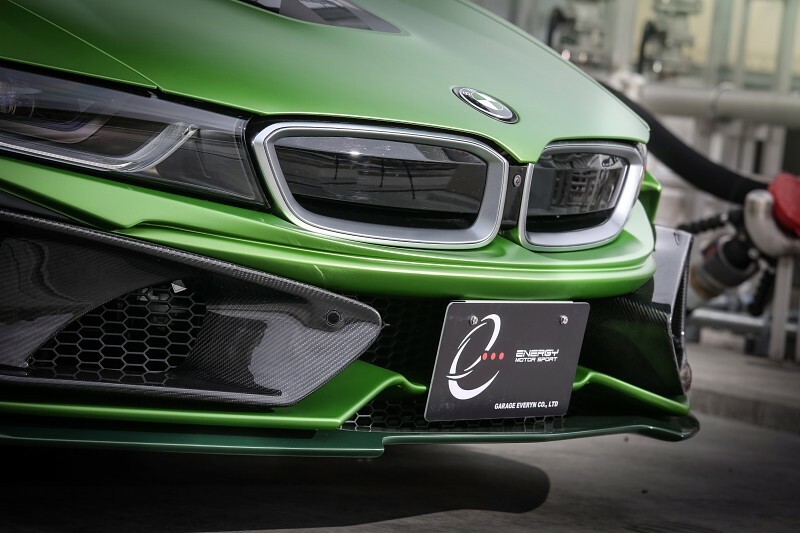 The front features a new bumper with a re-shaped chin and those massive carbon scoops that appear to float over everything. 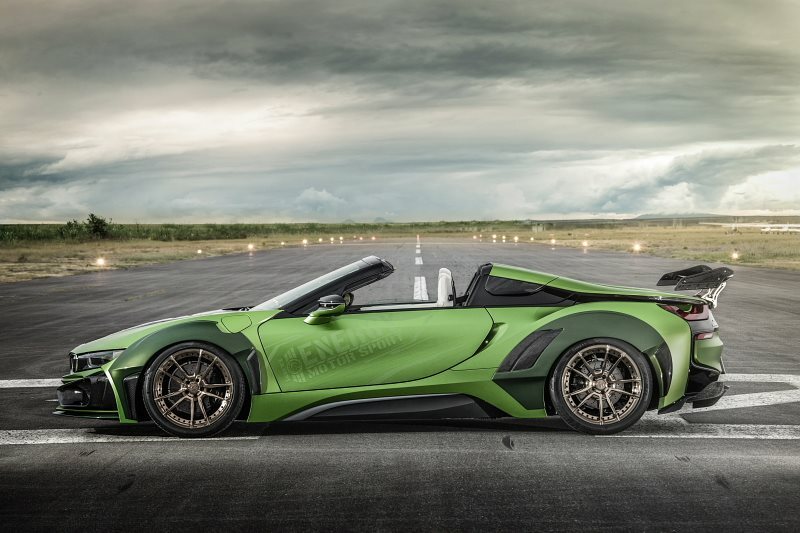 The fenders of the roadster are larger than stock, making room for extra rubber. 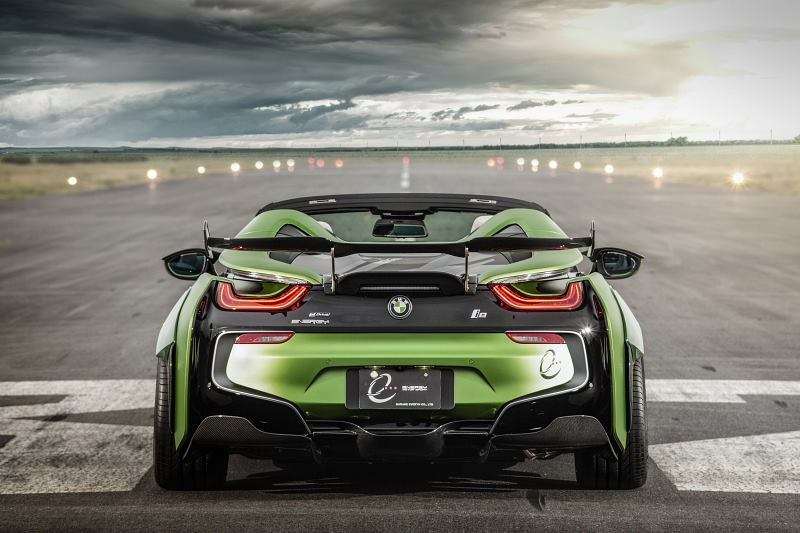 But the real party is at the back. 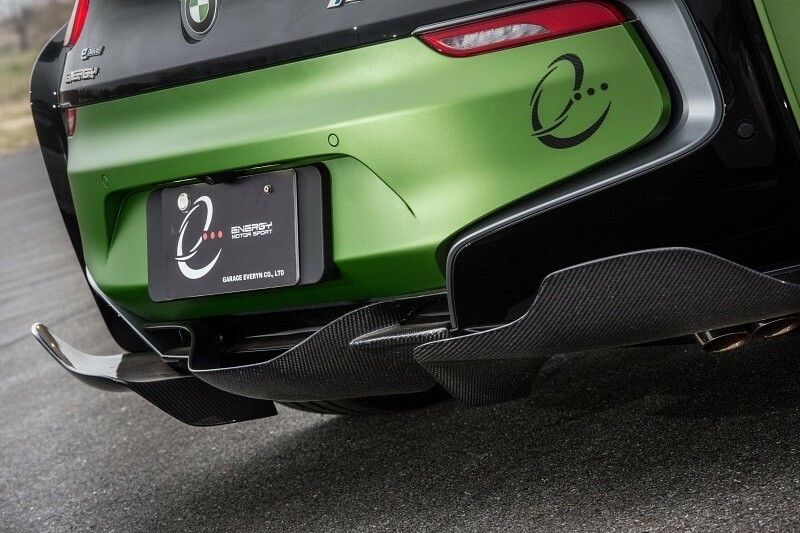 There, we see a massive carbon fiber wing and the oversized carbon diffuser.